Cabin air filters (pollen filter) prevent the driver and passengers against particulate matters, pollen and ozone contamination. A filter with activated carbon can also prevent nasty smells. When should I Change my Cabin Filter? 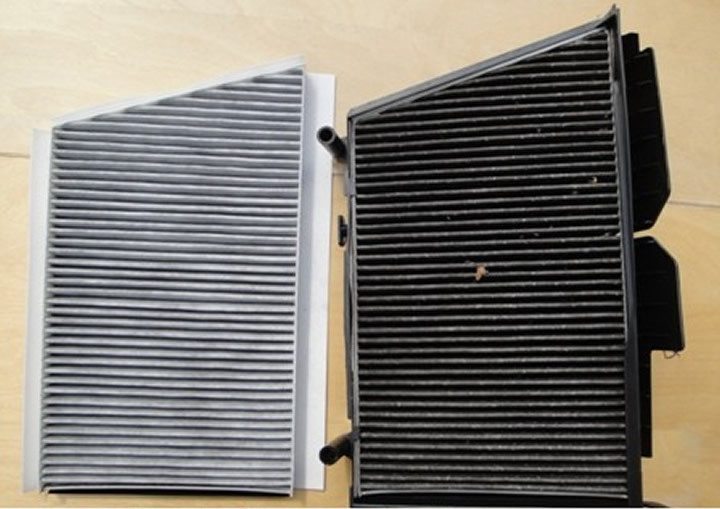 Cabin air filter makers recommend changing the filter every 15000km but most manufactures will have a set time in their service schedule normally every 2 years or at a major service. You can see how dirty the cabin filter has become, to learn how to change a cabin filter please watch video of replacing cabin filter.